Emu Oil contains a variety of fatty acids including oleic, linolenic and linoleic oils. Oleic is the main fatty acid in emu oil, which is an Omega-9. Linoleic oil is an Omega-6, and Linoleic is an Omega-3. Emu Oil can be used as an omega 369 fatty acid supplement. Tip: there’s no need to force yourself to swallow a spoonful of fish oil anymore. 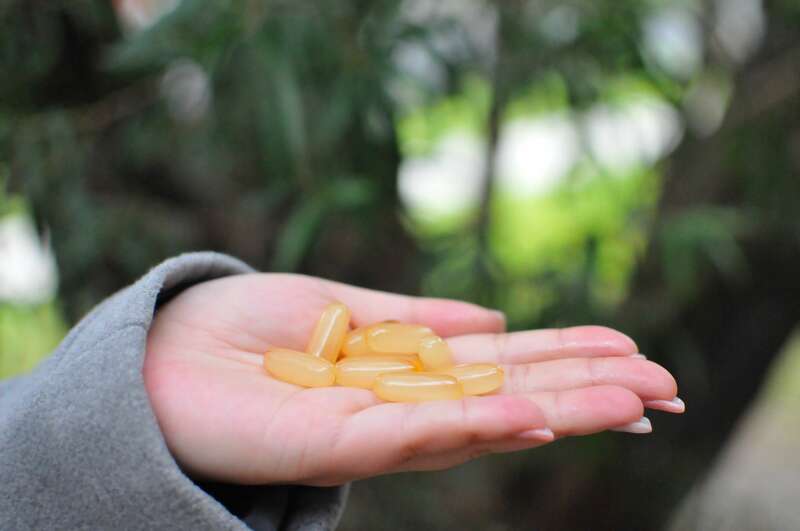 To take care of all your omega 3, 6 & 9 daily needs, simply take an emu oil capsule instead! Studies have found that the topical effects of emu oil have shown that it decreases inflammation. A study on the internal use of emu oil – to determine the effectiveness in reducing inflammation on the lining of the digestive track – took place at the University of Adelaide in Australia. They found that emu oil was able to reduce inflammation in the lining of the gut and improve the structure of the mucosal membranes. Tip: You can even break open the capsule and add the 100% pure oil of emu straight into your breakfast porridge or smoothie. Emu oil’s anti-inflammatory properties may extend to easing arthritis pain and inflammation. Researchers in Australia found that topical emu oil applications reduced arthritis in rates. Did you know? 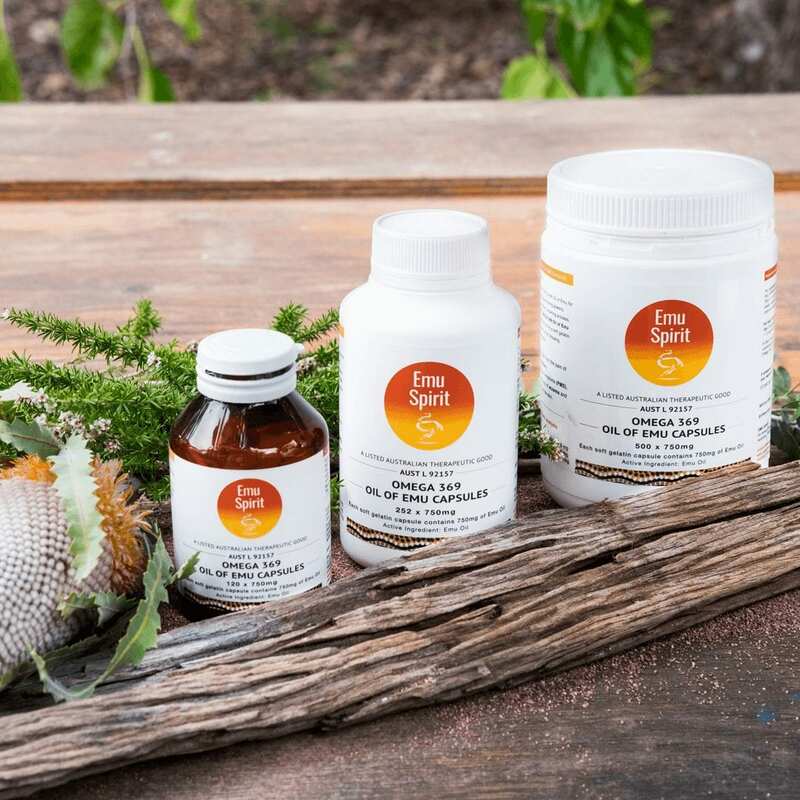 Aborigines have used emu oil for thousands of years, applying it directly to the skin, claiming its ability to cure a variety of ailments including arthritis pain. Emu oil is also used to treat burns and other wounds, helping to reduce inflammation. Researchers from the Southern Medical University of China discovered that topical applications of emu oil could reduce inflammation in scald wounds. The results were promising; emu oil was found effective when applied 1-3 days after the injury. Tip: make sure you are using a high-quality emu oil for maximum effectiveness. Ideally the emu oil should be 100% pure and not contain other added ingredients. Taking Emu Spirit Omega 369 Oil of Emu Capsules may provide temporary relief from the symptoms associated with inflammation based conditions such as arthritis and rheumatism. It can also provide temporary relief from the discomfort associated with eczema & psoriasis. Note: In most cases relief is observed 4-6 weeks after the commencement of taking Omega 369 capsules or the Oil of Emu internally. It takes time to build up in your body. In the meantime, you may directly apply the 100% pure oil of Emu to affected areas for more immediate relief. Like most natural products, the Emu Spirit range will need time to take effect. Products should be used consistently and for the minimum period of time for best results. Use only as directed. If symptoms persist consult your healthcare professional. Find our Oil of Emu Omega 369 Capsules here.